This one was a part of my emergence from a self-imposed three-year “car interest hibernation.” Our family had been going through a transitional period, and as part of my effort to put the family first, emotionally and financially, I had resigned myself to letting my wife drive my ’93 Volvo 940 Turbo, while I commuted to work in her old ’97 Saturn station wagon. Between the Saturn’s blob-like styling, asthmatic engine and pregnant-looking center console, it was a humbling, but necessary experience. Emerging from that period as a family, our horizons widened in many ways. We sold the Saturn and purchased a minivan for our growing kids. I returned the Volvo to DD duty, and it did wonders for my automotive self-image, being the big, black, Swedish executive sedan that it was. It was rock-solid on the highway, and although the Redblock 4-cylinder lacked the ability to overwhelm with acceleration, it could at least get out of its own way. The handling was floaty but secure; the live rear axle was unsettled at times by mid-corner bumps, but the rack-and-pinion steering was slop-free and direct. 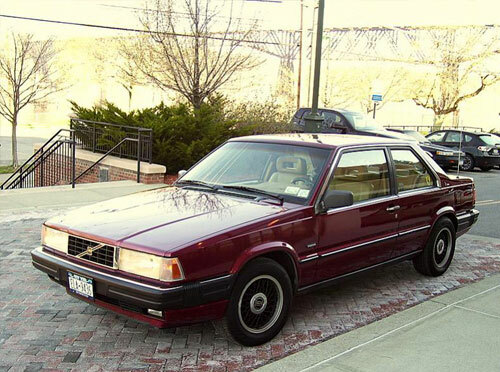 Best of all was the car’s tank-like feeling, familiar to anyone who’s owned a 200- or 7/900-series Volvo. Put all those factors together, and the car definitely endeared me to Volvos of that era. Fast forward to a few months after our minivan purchase, and catalyzed by the acquisition, my car interests were awakening from their 3-year slumber. Our family budget crystallized, and previously-unassigned resources appeared. In other words, with a bit of financial discipline, we found money we didn’t know we had, and that discovery set the gears turning in my head, ramping up for a possible car trade or purchase. I went through my mental checklist: It still had to be inexpensive, obviously; the budget was still tight, but I was determined to see what interesting cars I could find. As part of my “return to the automotive world,” I had recently begun to be active on the Volvo forums, an environment I had previously shunned for fear that all the talk there of modifications and repairs would make it more difficult for me to resist doing something impulsive. It’s easier to overcome an itchy trigger finger when it comes to car purchases if the cars I would consider weren’t dangled in front of me on a daily basis. All that said, I was on the Volvo forums, and I did like my 940. 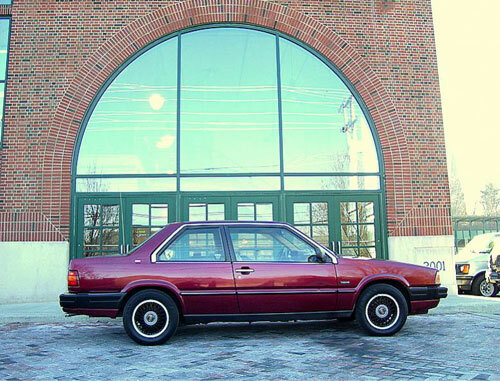 Add those two givens to the fact that I’ve always had a weakness for interesting, non-conformist cars, and the ’87-’91 Volvo 780 coupe naturally rose to the top. 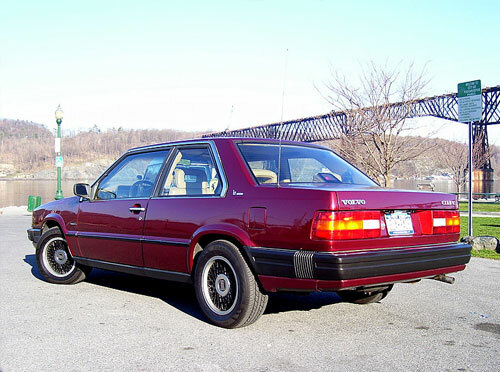 If there was one styling element I really hated about my 940, it was the sloped grille, a feature the 780 lacked, and besides, I loved the proportions of the coupe, feeling that Bertone, the styling house responsible, got them exactly right. It was rear-wheel-drive, had the very familiar Volvo Redblock engine, and on a sentimental note, the interior reminded me of our honeymoon, since the 940 had been our vehicle during that adventure. 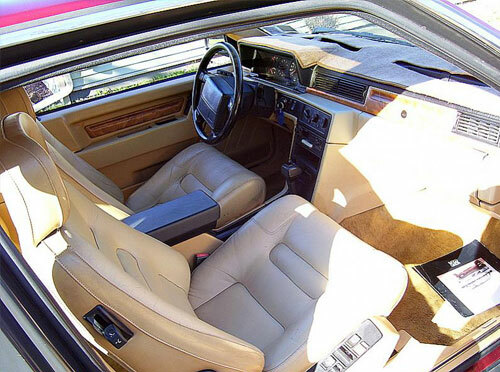 And I loved the “academic” feel of the 780; it seemed like the sort of car a slightly dorky family-man designer like myself would drive. A manual transmission option was sadly never available, but a bolt-in swap from a 740 was possible. Also, everything save the interior and bodywork was shared with the much more common 7/900 series cars, a boon for mechanical repairs. I was sold on the car; the only challenge remained to find a decent example for a good price in the area, something not easy given its rarity. After watching the Volvo forum “For Sale” boards like a hawk for a few weeks, the 780 shown in this post appeared in upstate New York. From the pictures and description disclosed by the seller, it seemed to be in excellent condition, but the best part was the price: Less than $2,000. Unfortunately, not having even that amount saved up, I tripped all over myself trying to find a buyer for the 940 so I could commit to the 780 and make the ol’ one-way plane flight to pick it up. But… I couldn’t move the 940. At its asking price, the 780’s seller didn’t have long to wait, and he found a buyer in a grocery store parking lot a week or two after he put it up for sale. I was disappointed, but moved on to BMWs. So I suppose there is a bit of a silver lining. Hi, I was actually the owner of this Bertone at the time these pics were taken and Matt was interested in the car.. Took all these shots myself in Poughkeepsie, ny… Have gone thru a couple more Volvo turbo wagons since but again I presently own a 1989 Bertone coupe, the maroon one was a 1991 with 240k miles on it, my new one just turned 97k miles and had 2 previous lady owners from new, is in exceptional condition and i’m also loving this one, it’s funny since matt wrote this and got into BMW’s I too have gotten into them, in the last 3 years i’ve had an e28 and now on my 3rd e30, an 87 coupe, great cars also…..
Glad to see you’re into BMWs also. I went through an E24 and currently enjoying dailying a 5-speed E34. Cheers! Awsome Matt, I don’t mind at all, I’m quite proud of those pics at Poughkeepsies train station, and the railroad bridge in the background was recently opened as a linear park/pedestrian walkway across the Hudson River… i’m still mainly on the turbobricks forum as i’m still heavily into redblock Volvos, we should have just swapped cars at the time, your 940 sounded like a nice car…. I’m tomwas on the TB forum, check me out and pm me, would love to show you the new 780 and my succession of Bimmers.. The 940 was okay, haha—certainly not the equal of your 780. A TB forum resident from AL picked it up and as far as I know, still owns it. Will check in on TB one of these days! Cheers!